January 3, 2016 – NASA has selected a science mission that will allow astronomers to explore, for the first time, the hidden details of some of the most extreme and exotic astronomical objects, such as stellar and supermassive black holes, neutron stars and pulsars. Ball Aerospace in Broomfield, Colorado, will provide the spacecraft and mission integration. 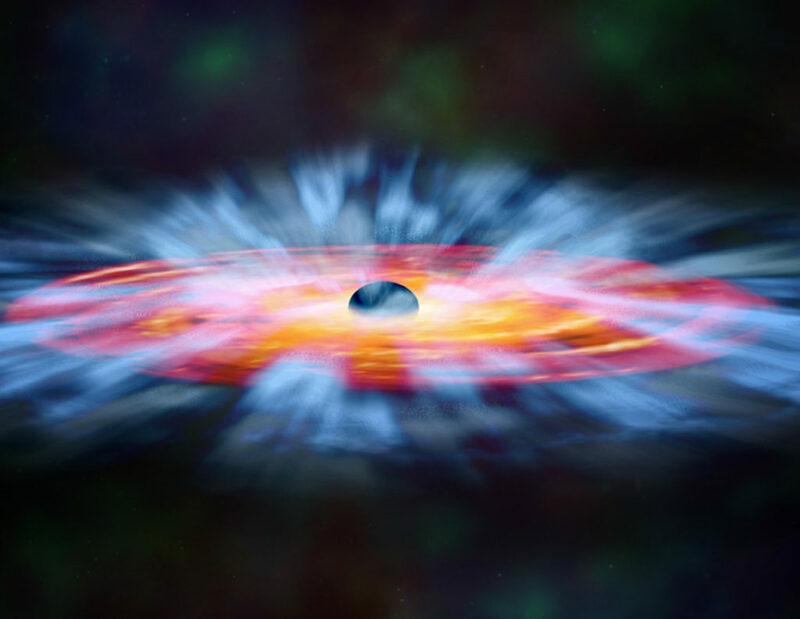 Objects such as black holes can heat surrounding gases to more than a million degrees. The high-energy X-ray radiation from this gas can be polarized – vibrating in a particular direction. The Imaging X-ray Polarimetry Explorer (IXPE) mission will fly three space telescopes with cameras capable of measuring the polarization of these cosmic X-rays, allowing scientists to answer fundamental questions about these turbulent and extreme environments where gravitational, electric and magnetic fields are at their limits. NASA’s Astrophysics Explorers Program requested proposals for new missions in September 2014. Fourteen proposals were submitted, and three mission concepts were selected for additional review by a panel of agency and external scientists. NASA determined the IXPE proposal provided the best science potential and most feasible development plan. The mission, slated for launch in 2020, will cost $188 million. This figure includes the cost of the launch vehicle and post-launch operations and data analysis. In addition to Ball Aerospace, team members include Principal Investigator Martin Weisskopf of NASA’s Marshall Space Flight Center in Huntsville, Alabama to lead the mission and the Italian Space Agency to contribute the polarization sensitive X-ray detectors, which were developed in Italy. NASA’s Explorers Program provides frequent, low-cost access to space using principal investigator-led space science investigations relevant to the agency’s astrophysics and heliophysics programs. The program has launched more than 90 missions, including Explorer 1 in 1958, which discovered the Van Allen radiation belts around the Earth, and the Cosmic Background Explorer mission, which led to a Nobel Prize. NASA’s Goddard Space Flight Center in Greenbelt, Maryland, manages the Explorers Program for the agency’s Science Mission Directorate.